The study finds that the demand for excavator will improve as the heavy construction equipment industry has been recovering from a major slump. 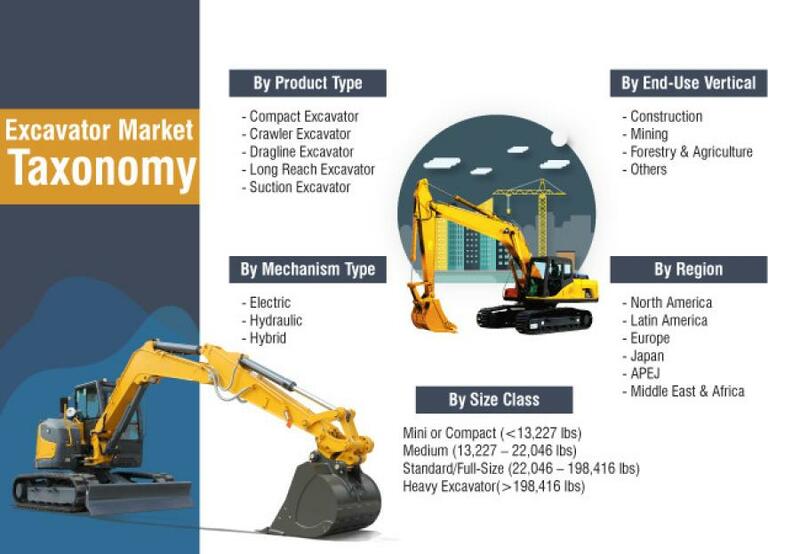 Fact.MR recently published a comprehensive study on excavator market, which opines that the excavator market will witness modest 3.2 percent volume y-o-y in 2019 over 2018. The study finds that the demand for excavator will improve as the heavy construction equipment industry has been recovering from a major slump. Owing to the positive growth of the construction industry, especially in developing countries, excavator market is expected to witness steadily increasing growth in the future. Excavators are commonly used in a wide range of sectors including construction, mining, agriculture and forestry. However, according to the Fact.MR report, the construction industry is expected to hold the largest volume share — approximately 72 percent — by the end of 2019. Manufacturers in the excavator market are focusing on introducing performance features that will suit the requirements of end-users from the construction industry to capitalize on the increasing demand for excavators as a construction equipment. Excavator market players are upgrading the design of excavators by incorporating advanced technologies to offer improved efficiency, which can help end-users to increase productivity and operators' safety. The report finds that the sales of excavators as a construction machinery were around 5.5 times higher than its sales as a forestry and agricultural equipment in 2018. 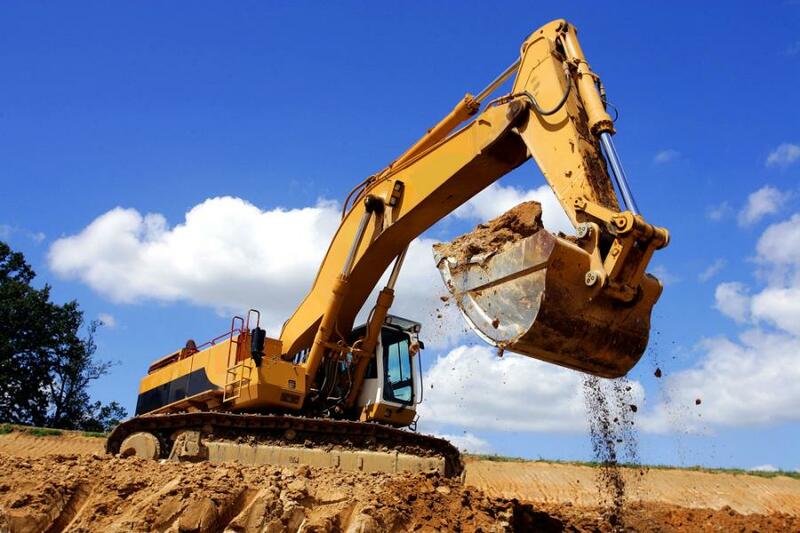 Higher demand for excavators in the construction industry is mainly spurred by roads and highway projects, and the study remains bullish of the potential rise in share of construction industry in global sales of excavators in the coming future. Apart from its applications in the construction industry, excavators also are used in the agriculture industry and mining industry, which have been contributing greatly to growth of the excavator market. Despite steady demand from construction industry, stringent environmental regulation and high quality standards for conventional excavators continue to create manufacturing challenges for market players. Conventional excavators are subject to guidelines regulating the use and operation of heavy equipment. Manufacturers in the excavator market need to conform to these stringent regulatory requirement, which may add to the production cost, ultimately restricting manufacturers from maintaining competitive prices. The fortunes of excavator manufacturers are closely linked to the broader macroeconomic policies, most notably investment in infrastructural development. Asia Pacific is home to two of the fastest growing economies in the world. Moreover, many small economies in the region are ramping up their archaic network of roads and highways, creating significant demand for heavy construction equipment. Excavator manufacturers are likely to benefit from these broader developments in developing countries of Asia Pacific. The Fact.MR study finds that the APEJ region accounted for over 47 percent volume share in the excavator market in 2018, and projects that the region will continue to create lucrative sales opportunities for excavator market players in the upcoming years. According to the study, the high cost of excavators continues to induce a preference for renting. As excavators are cost-sensitive, renting continues to be feasible option, especially in micro projects. The study foresees the excavator market to record an average volume CAGR of over 3.2% for the period between 2018 and 2026.